Ashley has had Palmoplantar pustulosis for about 10 years. She told me that to date nothing has had any positive effect and when she has a flare up, particularly when she has been on her feet for a while, the pain can be excruciating. She lives near the sea and the sand and the salt have not been helping. 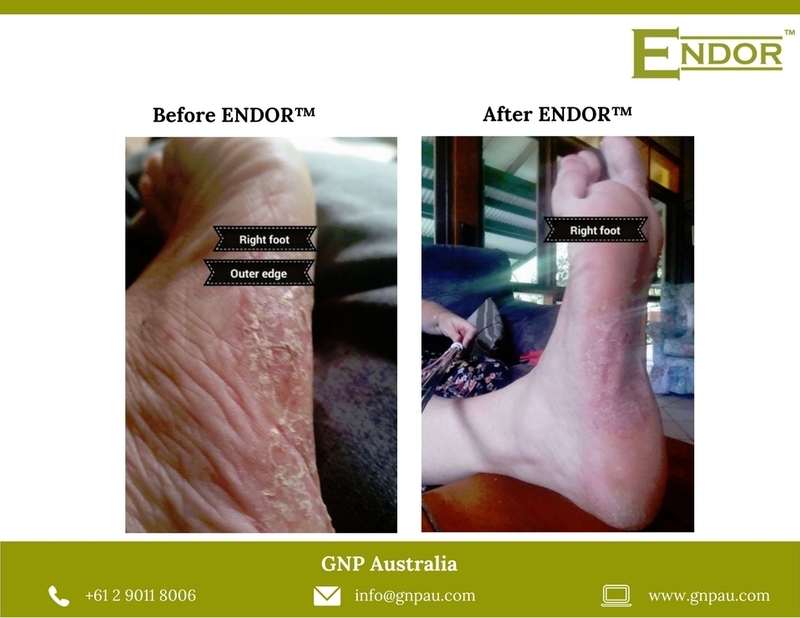 She started using ENDOR™ 3.5 and was very quickly able to see a difference.